I finally knocked my rating down on this book from a 4 to a 3. 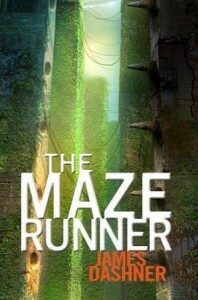 The Maze Runner will always hold a special place in my heart for being one of the first dystopia books I read and enjoyed, but I've read other, similar books in this genre since then that I've liked better.Once I got past all of the hokey slang words this ended up being a fun adventure. There's something about mazes which has always intrigued me, so I knew I was going to have to read this book the first time I saw it. Still haven't read the third book though. I really should at some point, just to see how it all ends.